Things got awfully steamy in the summer of 2011 when the Fifty Shades of Grey books were first released, and they are about to get steamier in February of 2015 with the release of the movie, starring one of my favorite actors, Irish-born ex-Calvin Klein model Jamie Dornan. In the meantime, my kitchen is getting awfully steamy on its own with my recent acquisition of the Fifty Shades of Chicken cookbook. I know this is a food blog, and this may not sound like a serious cookbook, but trust me, it is. First things first, however. The book is hilarious! I read the whole thing from cover to cover and absolutely LOVED how it parodied the original books. Fifty Shades turned into Shifty Blades and Mrs. Robinson is now Mrs. Child... Julia Child. 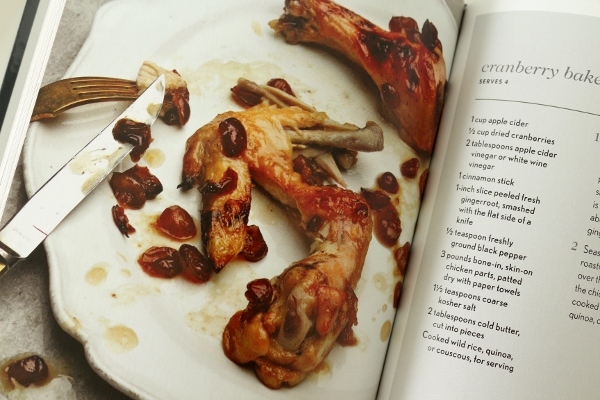 The funny introductions to each chapter and recipe are worth the price of the book for any Fifty Shades-loving cook, and the recipes definitely hold their own. 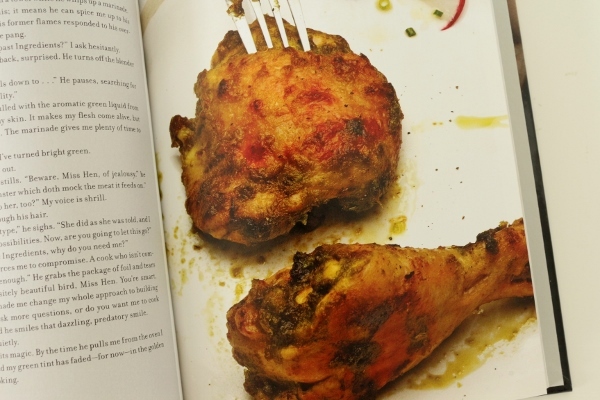 Featuring 50 chicken recipes (and a few extras, such as Taters, Baby! ), this cookbook will find a very happy place on my bookshelf along with other tried and true cookbooks. 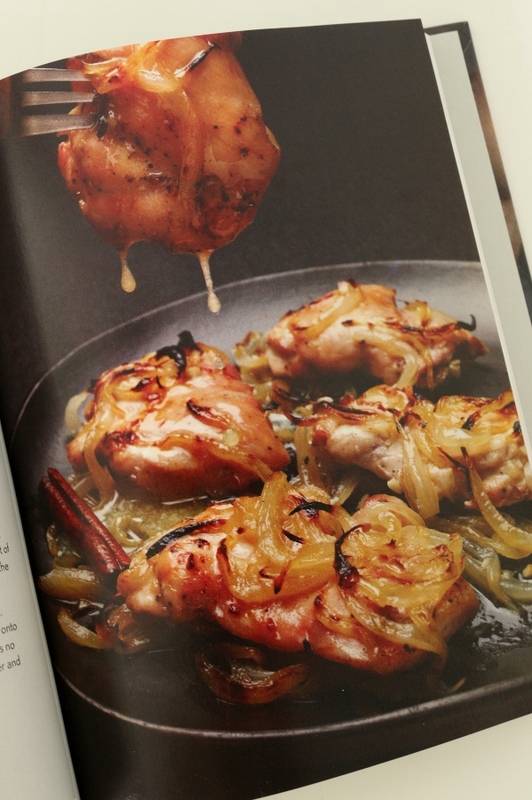 Even though I'm a pretty serious cook (I have signed cookbooks by Thomas Keller, Daniel Boulud, Eric Ripert, Anthony Bourdain, and more), I have a soft spot for anything with a sense of humor, and these naughty-sounding chicken recipes are exactly that! 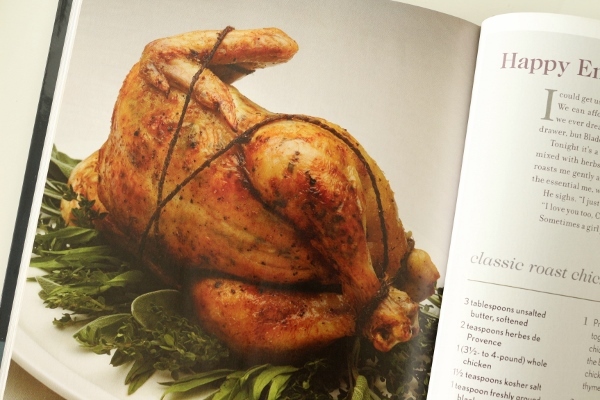 Not only are they creative, each with a tie in to the original books (but with chicken), the recipes themselves are tantalizing, yet straightforward to prepare. Oh, and there are pictures of a shirtless guy with washboard abs trussing a chicken. So far, I've tried a couple different recipes from the book. 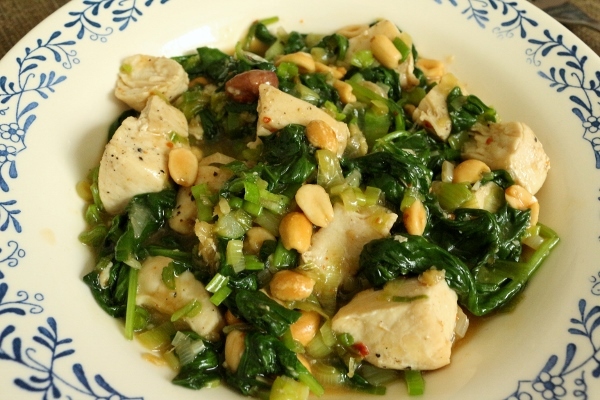 First was the Stir-Fried Chicken with Spinach and Peanuts which was tasty but a bit on the wet side from all the water released from the spinach. I'm not sure I would necessarily make that again (I actually prefer more authentic Asian dishes than this one proved to be), but never fret, there are lots of other appetizing dishes on my to do list. 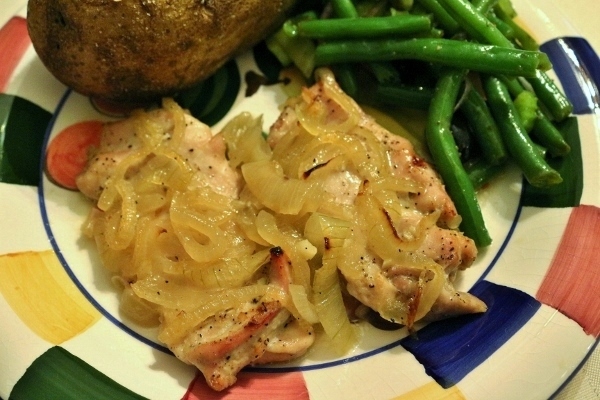 The next recipe I tried (and my favorite so far) is the Roasted Chicken Thighs with Sweet-and-Sour Onions. Not only is it really easy to make, but the result is pretty darn tasty. 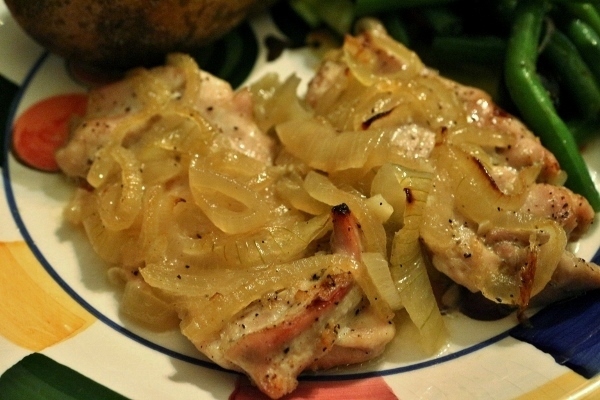 I actually cooked the onions ahead of time in order to speed up this weeknight meal the following day after work. 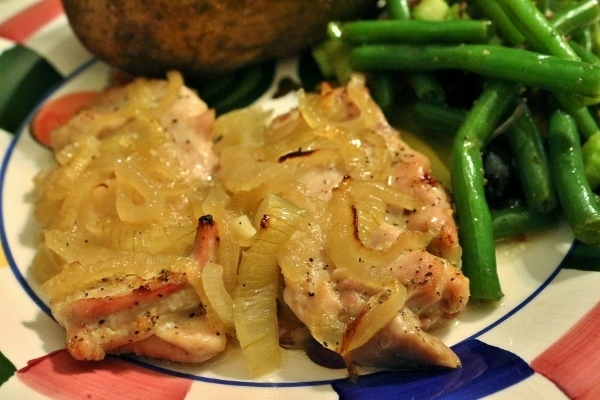 This worked out really well and still yielded a mouthwatering chicken dish with a sweet and tangy onion-laden sauce. Preheat the oven to 450 degrees F. In a large bowl, toss together the chicken, garlic, 1 teaspoon salt, and the pepper. Spoon the mixture over the chicken and toss well. Spread the thighs, onion mixture, and any juices onto a rimmed baking sheet or baking dish. 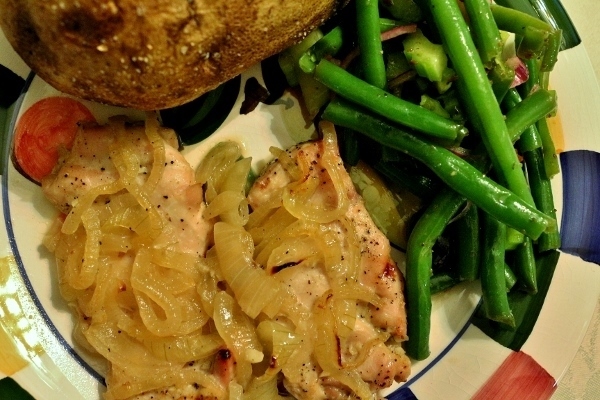 Bake until the chicken is no longer pink and the onions are meltingly tender, and caramelized, about 25 minutes.